Bridal | Everyone needs a little Sparkle! 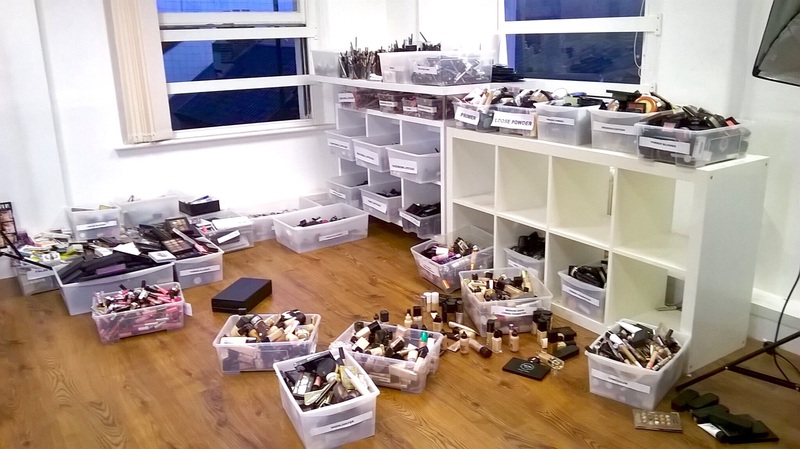 The make-up trial – one of the most important, but slightly overlooked “to-do’s” on any bride’s list. You most likely wear makeup every day, and think you might just be able to tell someone what colours you want and be done with it. Well, that would be nice; but the reality is, they are called trials for a reason. Not only are you trying out different makeup looks, but also possibly different artists and hairstylists. 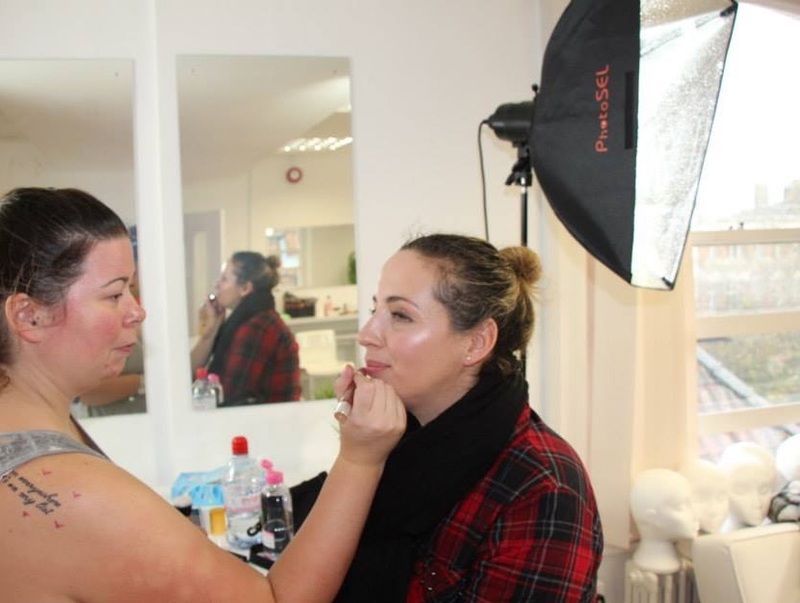 It’s important to get the right person as the people doing your makeup ( and hair) will be spending a lot of time with you on one of the most important days of your life! You might be marrying near your hometown and plan on going to your favourite salon for your trial. Some of you might be getting married in a different town or country, for that matter, and need to really do some research on where to get your hair and makeup done for your big day. Regardless of where you end up, there are some basic steps to follow to make sure you are happy and looking gorgeous on your wedding day. Step 1 ~ Do Your Research! I can’t stress this enough. Just like any other vendor you would hire for your wedding, make sure you ask a ton of questions and feel comfortable with the people you are talking to. If you don’t like what they have to say over the phone, move on. Ask friends and coworkers for recommendations, go to bridal shows to check out what’s available, check out reviews on sites such as Google, and check Facebook or websites for testimonials or before and after photos of real brides. This is especially true for brides who are getting married outside of their hometown. Give yourself time in two ways: Trials can take around two hours, so make sure you have the time to dedicate to that. Also give yourself a few months before your wedding to go on your trial. This way, if you go to one person and don’t like what they did, you have time to find another. During the trial be honest, if you don’t like the way something looks let your artist know, that’s what the trial is for, they can do alterations as they go along until you’re 100% happy! You may love a look on Instagram or Pinterest and expect your makeup artist to be able to recreate that on you, but please remember that those photos in general are heavily airbrushed and edited, added to that everybody has a different eye shape, face shape, skin tone etc, what looks good on them may not look good on you, for instance I LOVE a winged liner but because I have hooded eyes I rarely wear it! However you never know until you try. Bring photos of a range of different styles and try as many as you can, because just like your dress, you might be pleasantly surprised by trying something new. It’s very difficult to work with someone that says they don’t care or have no ideas, because we know you do. Even photos where you might like certain elements are helpful. I also like to see photos of how you look everyday since your bridal look should still look like you! It’s helpful to come along to your bridal trial with a white or pale top if possible ( if that is the colour of your dress) it will show what the makeup will look like against your dress, you may need a little more blush or a slightly darker lip than usual in order to not look “washed out” against the pale colour, also for photography purposes. Please trust your makeup artist in this as they will create a look that will look beautiful both in real life and on film. Show up with a fresh face. Moisturiser is okay but nothing else. Once you decide on a look, your makeup artist will take a photo to go with the notes they have been taking, especially if your trial is months before your wedding, it’s easy to forget details. A photo captures everything. You are will probably be wearing a formal gown, which requires formal makeup (regardless of whether you have an indoor or outdoor wedding). It also needs to hold up through tears, sweat, smooches, and photos … lots and lots of photos. Because of that, wedding makeup by nature, will be heavier, but it doesn’t mean you will end up looking like a clown. Tell your stylist what kind of makeup you normally wear and what look you are going for. Your wedding is not the time to try something drastically different, it’s just a time to try something better! Let’s face it: By now you’ve probably realised that anything associated with weddings or brides costs more than it does normally. Your budget might be on its last legs, but don’t skimp on this important part of the planning process. What you look like is going to be captured forever, so you want to make sure you look your best. Make sure to leave a few hundred pounds or so in your budget for proper hair and makeup. Believe it or not, getting your hair and makeup done plays a very important role in the timeline for your wedding day. Typically, that’s a bride’s first stop for the day; and if you end up running late there, it pushes everything back, like a domino effect. Make sure you share your timeline with your salon and work backwards from there. For example, your wedding might not take place until 2:00 p.m, but you need to start hair and makeup at 8:30 a.m. to make sure we you have enough time for you, your mum, and the rest of the bridal party to get ready. You also need to figure in time to eat before the wedding, you may not be hungry because of nerves but it is a long day and you want to enjoy it – also so that glass of bubbly doesn’t go straight to your head! Your makeup artist / stylist will know how long it will take to do your hair and makeup – You may need a separate hair and makeup person. Not everyone is skilled in both, but, more importantly, your time may not allow for one person if you have a whole group that needs services. You may need to be doing hair and makeup simultaneously. Might that mean an early wakeup call? Yes. Might it mean a long day? Yes. But you are going to be so psyched and full of adrenaline on your wedding day, getting up early will be a piece of cake. 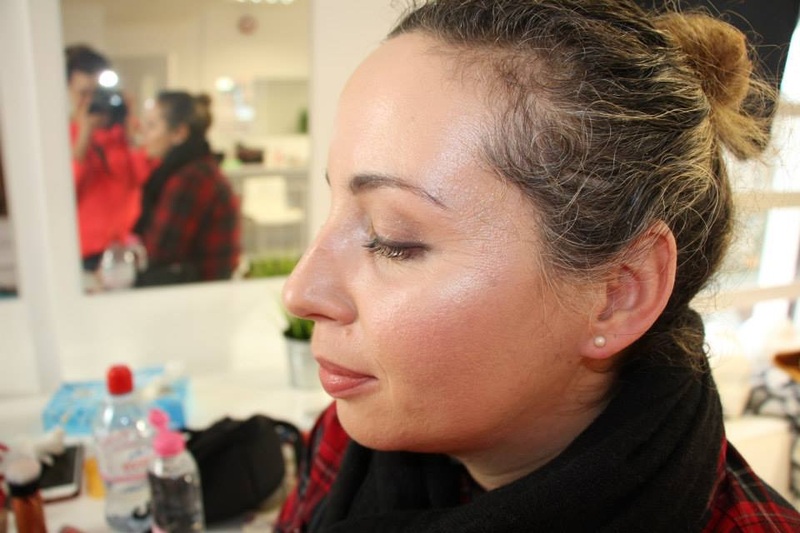 We learnt how to do a subtle contour and blend in so skin looked fresh and glowing and would look good in photographs – that was one of the main things to find out, what time of day and inside or outside photos – also style of photography as that might change the type of photo, for instance some foundations will cause flash back with flash photography. They gave us a kit list of things that will be useful in our professional kit and also a sample contract to help when we come to make one with brides if that’s the line of work we wish to follow (most people will). 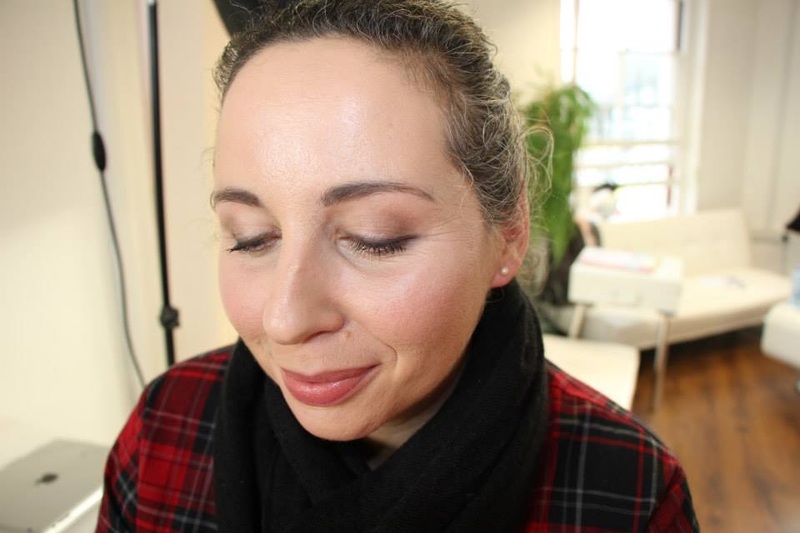 After the contouring which was blended in with foundation (you could barely see it) we then moved onto eyes, the majority of brides will want either a neutral or purple palette, not much liner and maybe a few individual lashes which we were also shown how to apply. Lips mostly neutral or slight pinks, the main feature of bridal looks should be healthy glowing skin. 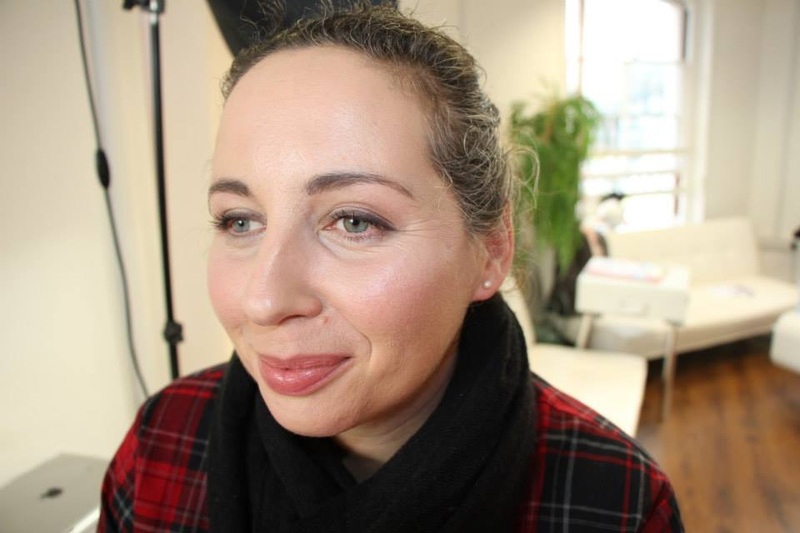 We then swapped partners from the previous day, I stayed where I was and my new partner Annie came to me, we selected our products – she said I could use what I liked but she had sensitive eyes so just be careful in that area and no false lashes. I was pleased with the finished effect and added Nars sheer glow, Tom Ford shade & illuminate and a beautiful Chanel highlighter to my lust have list!! 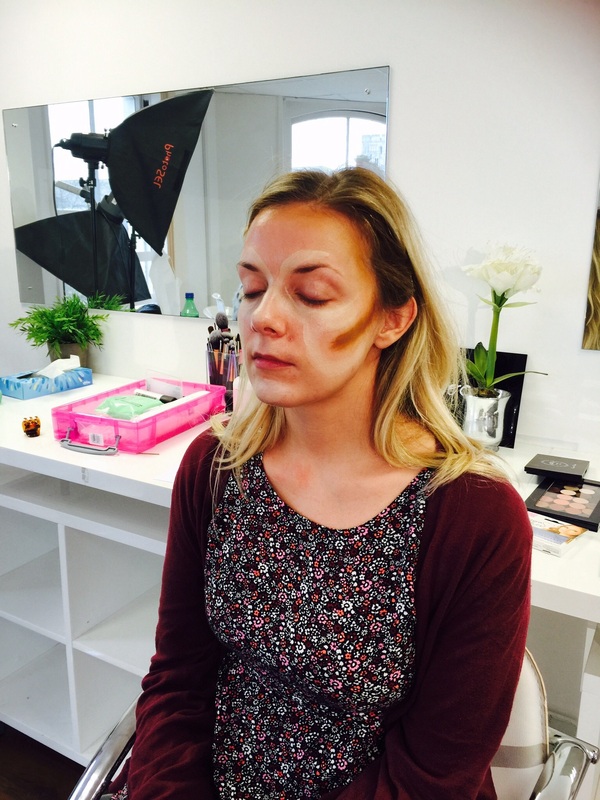 Damn you Pixiwoo course, with all your lovely makeup to play with you may very well bankrupt me! Stacey also let me practice puting single lashes on her, which is surprisingly easier than you think, once you got your hand to stop shaking!